Choosing this user-friendly one page personal wordpress theme, you can express your own ability! 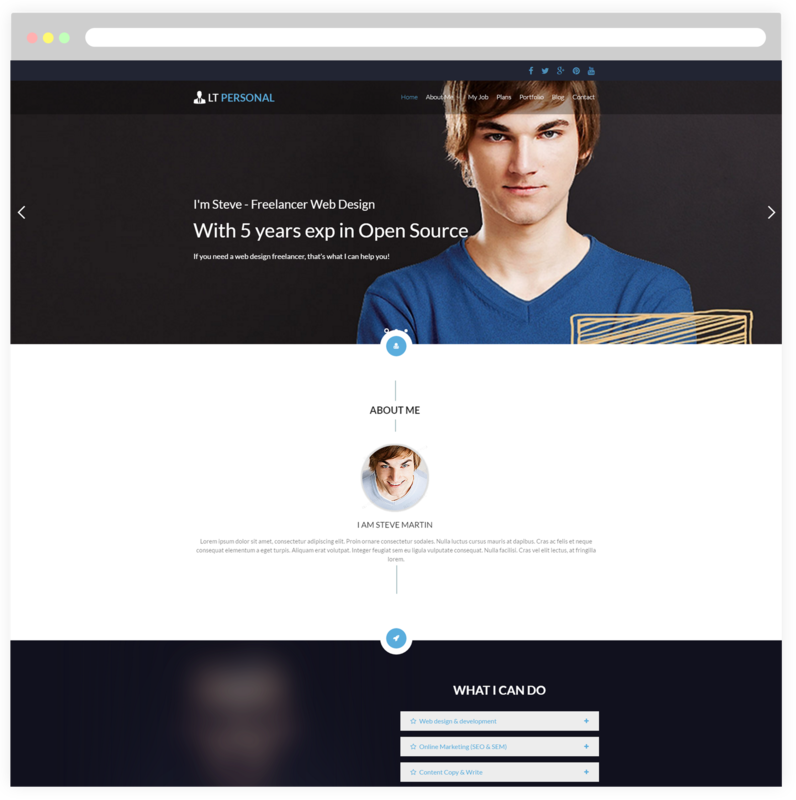 LT Personal Onepage is a free single page version of LT Personal WordPress Theme (multi-page). This is great template theme to use for Profile or Personal service websites and recommending yourself on your page like personal blog. Also, you can present everything you want on your individual website beautifully. LT Personal makes your sites display well on all mobile devices with 100% responsive and modern layout. Developed with Bootstrap CSS & Hybrid framework, strong shortcode and drag-drop layout content, unlimited color and a color picker in the admin panel, you can build your site easily. Choosing this user-friendly personal theme, you can express your own ability and help employers find the human resources.